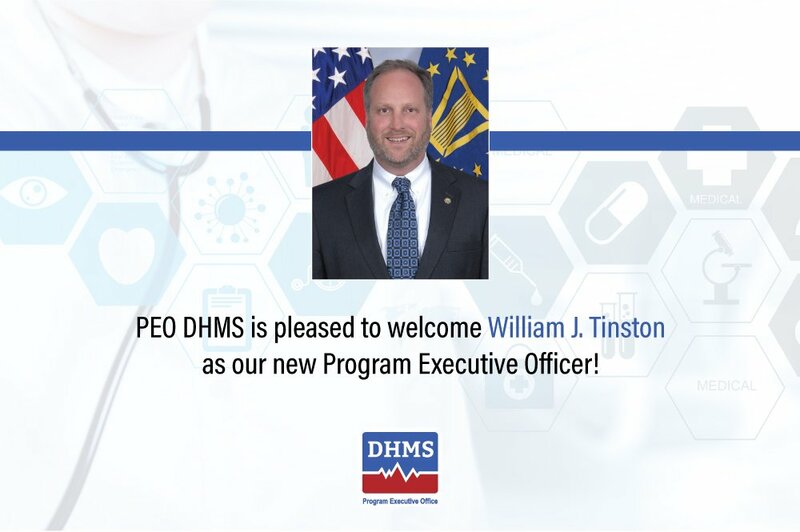 Dennis Nihiser leads the Leidos Partnership for Defense Health (LPDH), working directly with the Department of Defense (DoD) to deploy the MHS GENESIS electronic health record system to our U.S. military branches. Dennis comes to Leidos on the strength of 45 years spent supporting the U.S. government in a variety of engineering and large-scale program management positions. 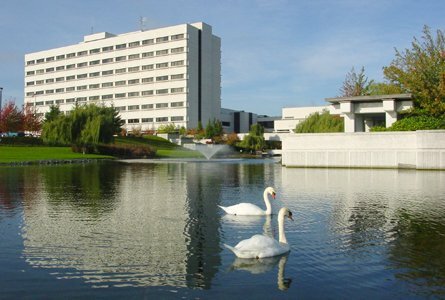 Under his leadership, Dennis guides approximately 500 professionals from within the partnership of four industry leaders—Leidos, Cerner, Accenture, and Henry Schein, along with nearly 35 supporting businesses—as they work with the DoD to transform the delivery of healthcare for nearly 10 million service members, veterans and their families. This effort will introduce modernized, unified health care delivery services for all branches of the U.S. military, so providers are able to spend less time managing records—and more time with patients. We caught up with Dennis to ask him a few questions about his new job, his government career, and his first-hand experience with the challenges of transferring medical records, the old way. You began your career with military and government service. Can you tell us more about your work experience? I’m a retired Air Force officer and a retired GS-15. In the Air Force I had a wide variety of jobs. I started out as enlisted, at the bottom with no stripes, working out on the flight line on B-52s and KC-135s at the end of Vietnam. I spent the second half of my career in the Intelligence Community working on the Strategic Defense Initiative. I also worked for the Missile Defense Agency for about 10 years. In total I had a little over 30 years in the government before I decided to leave and go to the private sector. When you made the transition from military to civilian life, what was your experience like having your medical records transferred? Well, it’s interesting. At the end of your career you go through an extensive physical, and so I went through all of that. And within a month I got a letter from the VA calling me back in to do exactly the same thing. So I looked at that and said, ‘Well this is crazy, I just did this.’ You know, my medical records were there, and they had to start as if they knew absolutely nothing at all. And the same thing happened with my son, who is also retired Air Force—he’s a Wounded Warrior—when he went into the VA system. Twenty years later, it was still the same thing; nothing had really improved. With the technology we have today there’s no reason for that, absolutely none. They should be able to put your records into the system and access them whether it’s active duty, whether it’s reserve, whether it’s guard, or even if you’re out and it’s the VA. It ought to all be the same. Because to watch different doctors go through and have to start all over again, that just doesn’t make sense to me. Why is a state-of-the-art electronic health record solution so important to the Military Health System right now? How will MHS GENESIS fix the problems with military medical records that you and your son experienced? There are a couple of reasons. First of all, when all of your records are in an electronic system, your location no longer matters. When I joined the Air Force, it was all paper, and you had to walk around with your medical records—and heaven help you if you lost them, especially your shot record. With the MHS GENESIS system, clinicians will be able to access your records anywhere, no matter where you are in the DoD. They’ll be able to find out what your history is, see if there are special considerations, without having to start over. When we move on to integrate that with the VA, then the location won’t matter for either active duty or retired. Tell us about the Leidos Partnership for Defense Health. What is the team like? Led by Leidos and its unmatched experience working with the federal government, this group is uniquely positioned to adapt Cerner’s proven software platform to the specific needs and cybersecurity requirements of the DoD. Accenture brings a lot of experience developing and integrating solutions into civilian organizations. And Henry Schein brings their dental practice management experience and software to the group. You’re just a few months into your new job. How is the team doing so far? Well, in the Air Force they teach you to come into an organization and do an assessment for the first 30 days, and I did that. And I’m very happy to say this program runs very well. That’s a credit to the previous program manager, and to the dedication of the team. Of course, I’ll put my fingerprints on it as any leader does, but I think it’s a very good program. What are the top three things, from a leadership perspective, that you value the most about this team? The top thing I value is that they all believe in the mission. We have several people on the team that are former military. And so they understand who they’re ultimately serving. Second, is their dedication to the job. I find myself many evenings going by cubes and telling people, ‘Don’t stay here all night, alright?’ So I think that really stands out for me. And third, I think their ability to work across multiple organizations. Everybody seems to get along pretty well and respect one another. This is sort of a badge-less society. At the end of the day, what we are doing here is noble work and we are all proud to be a part of it. What else should people know about LPDH, MHS GENESIS, or your expectations going forward? This program could grow in a lot of different directions, but that would not be the right approach. Right now, what’s important is to execute what we have and deliver what we promise. We’ve got to make sure we work really well with the customer to understand what their expectations are. If we put in a good solid product, then it will expand. We’re seeing that with the direction for the VA to use the same base product. So I believe our focus needs to be on understanding what our customer really needs, and working with them to deliver what we promise. I like almost anything that has a wheel. I grew up learning how to operate farm equipment. And my grandfather was a road commissioner, so I learned how to operate heavy equipment. And a lot of my friends’ fathers were truck drivers, so I learned how to operate large trucks and semis and so on. I like to read mysteries, mixed up with some nonfiction. But I only read when I travel. When I’m not traveling I’m too busy to sit and read. I always liked dogs but because I travel a lot I just had cats. When I got married, it was my first opportunity to have dogs — my wife had two — and I really do enjoy them. Everybody gets along. But the two cats are in charge. The Leidos Partnership for Defense Health is a team of proven innovators that have consistently delivered large, complex health solution programs for the DoD and VA on time and within budget for nearly three decades. Leidos, Cerner, Accenture, and Henry Schein form the core team, complemented with a broad range of large and small business teammates, vendors and suppliers who bring proven experience and expertise specific to both the commercial and DoD healthcare markets. We specialize in delivering patient- and clinician-centric tools, training and change management support to offer a comprehensive and high-quality healthcare technology. The strength of our partnership is founded upon our collective experience in both commercial hospital settings and with the Military Health System. We have more than 30 years of experience with military health solutions, and we understand and are fully prepared to support the unique challenges DoD faces in ensuring quality care for active-duty military, veterans and their families.